Heats a 15′ radius of heater. 5 gal. propane included. Designed for outside use only at parties, on lanais, restaurant decks, etc. 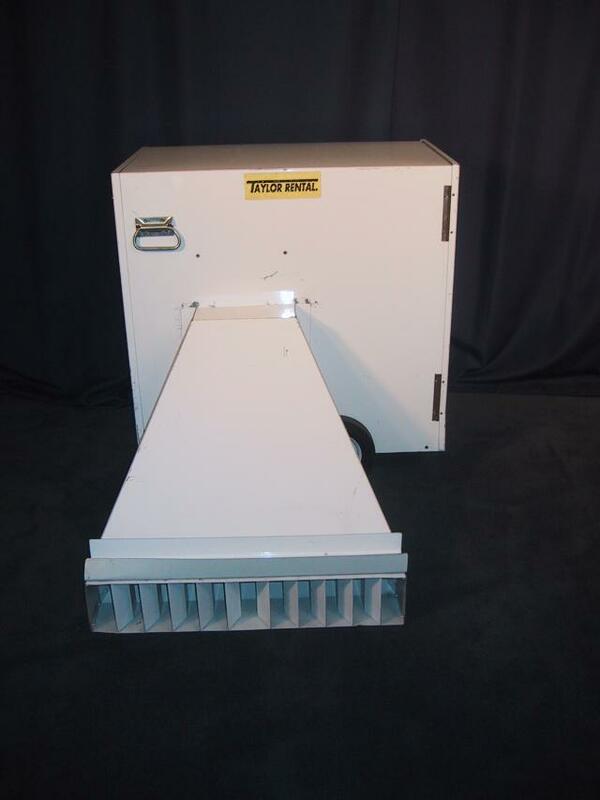 Element sits at 8′ height to stay clear of guest’s heads and clothing. Not for indoor use. 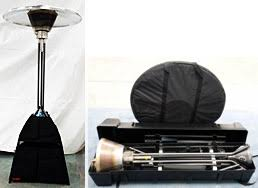 Two stage heater for heating tents. One heater will heat 2500 square feet of floor area. Propane sold separately. Tent must have sidewalls. Thermostat included.